I have to say I have seen some super cute Halloween costumes out on Pinterest, then I to check out the directions and I feel like they are in an entirely different language! 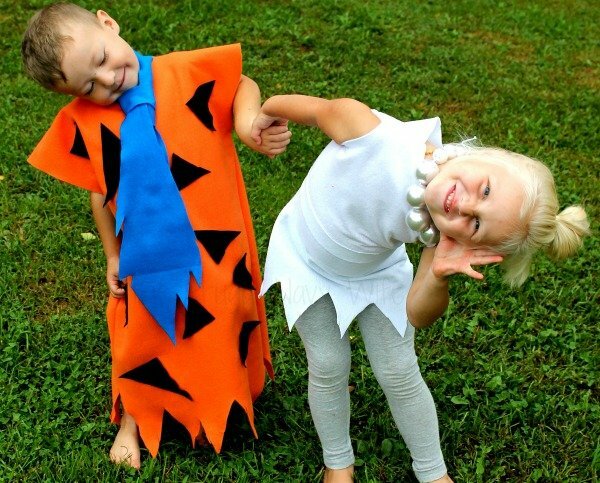 So that I why I wanted to make these Flinstones Costumes as easy as possible! 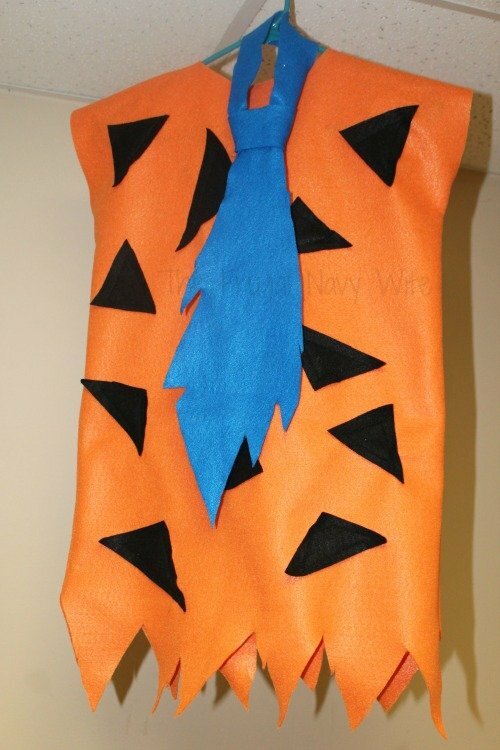 Both your Fred and Wilma costume are made pretty much the same way with a few cuts and very little stitch work. If you are 100% against using a sewing machine you can use hot glue to put your Fred and Wilma costumes together. 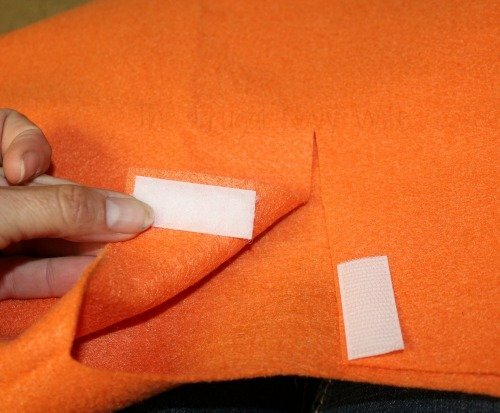 Lay your orange felt out with the fold at the top. 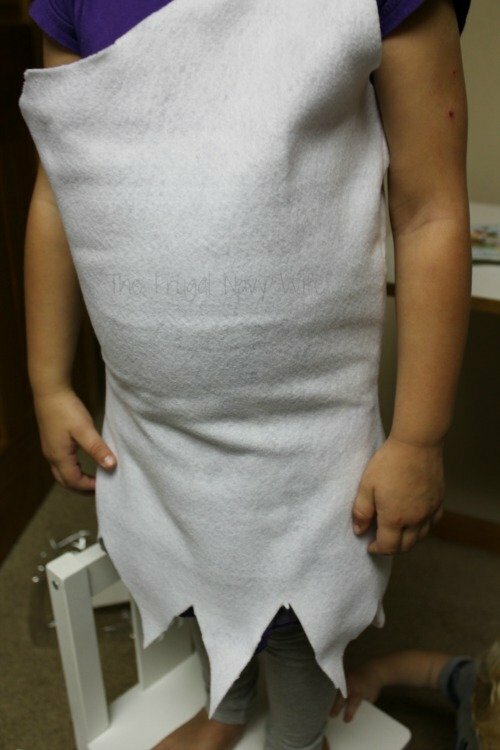 Using a shirt that will fit your child like a tunic trace your outline, I still like to add an inch or two on the sides just to make sure it will be oversized. The shirt I used was not long enough, so I just added length. 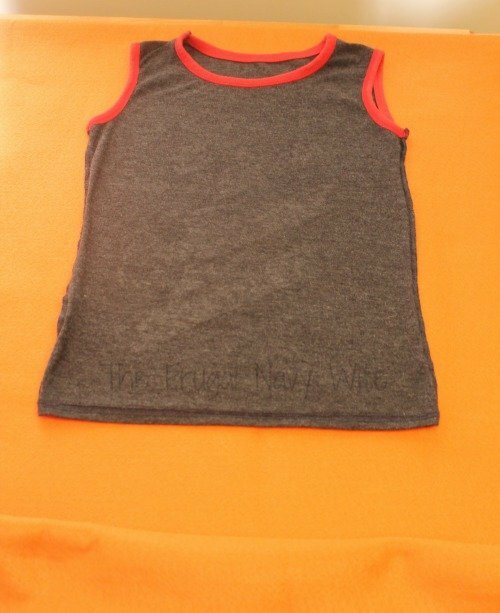 Make sure to mark the collar of the shirt along with where the armpits will be. 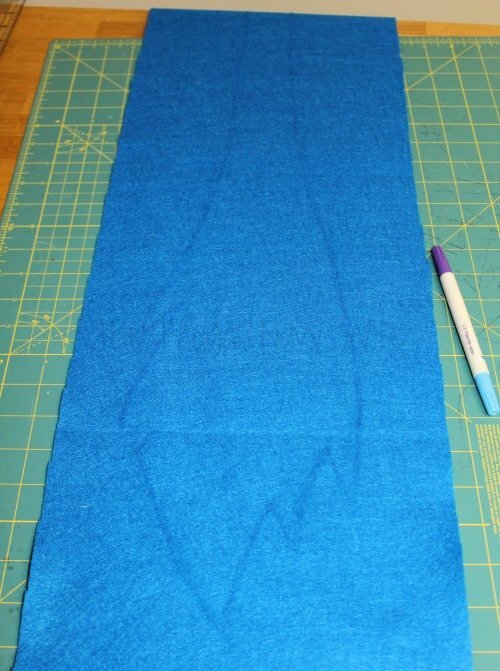 Once you have the outline, cut BOTH layers of fabric. 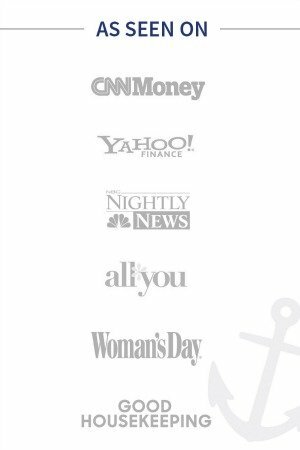 Be sure not to cut the fold at the top. 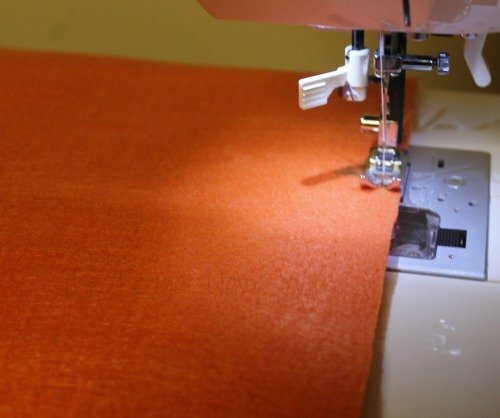 Next, run a seam down both sides. Start at the arm-pit area and stop about mid-calf length on your child. My son has a rather large head, so I cut an opening in the back of the collar and added a small piece of Velcro to hold it closed. This is where I employ my kids. 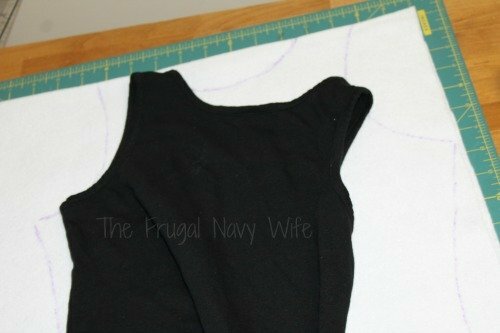 Try the tunic on and trim to the longest length of the points. After you have it, the right length trim the points. I like to keep them a bit jagged and irregular. Once the tunic is finished, cut out several triangles. I keep these a bit random and not uniform. 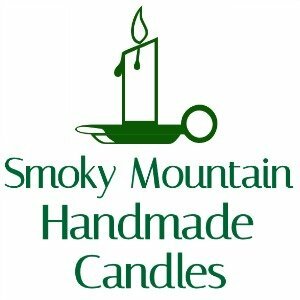 Lay these out on the front of the tunic and pin in place. You have several options to secure these triangles. I choose to sew them on with my machine. 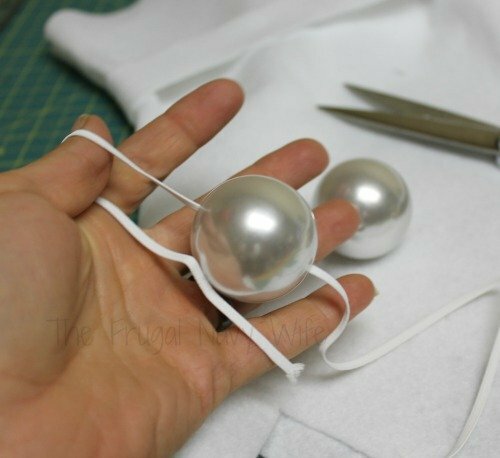 If you are not comfortable with this hot glue and hand stitching are great options. Last it is time for the tie. Make sure you have enough length to double the length of your tunic. Fred’s tie is very oversized. Free hand the outline for the front of the tie. For “tail” or the “short” end, I just keep it simple and strait. Cut out the tie and tie in a loose Windsor knot. 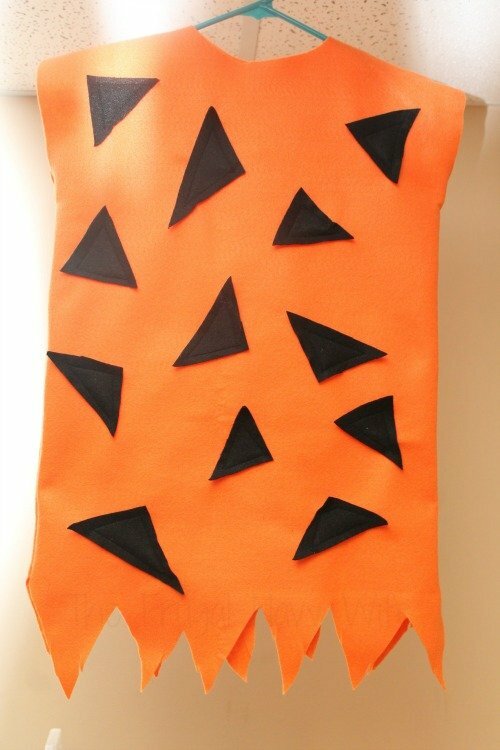 Your Fred Costume is ready. Wilma is a touch more difficult due to being a bit tailored. This is still and very simple costume. 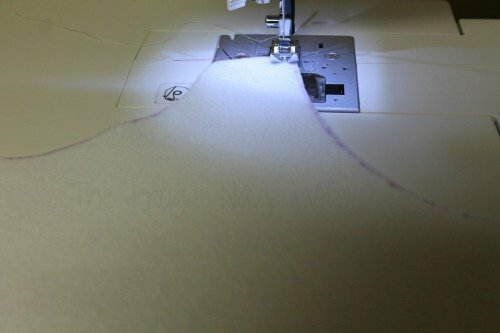 Lay out your white felt with the fold at the top again. 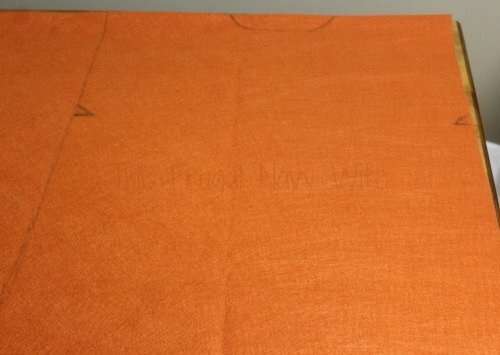 Trace the outline using a shirt that fits about how you want the dress to fit. I still like to add an inch or so on the sides for the seam allowance. Cut out the dress cutting BOTH layers. Sew the layers together just like you did with Fred. Start at the arm-pit area and stop this time about mid thigh. Re-employ kid! This time, you will be trimming about knee length. 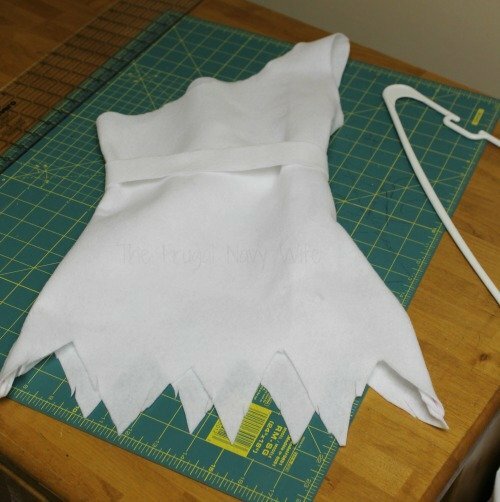 Cut your irregular/jagged points for the bottom of the dress. Convince your child to allow you to cut the one shoulder off. Wilma has one shoulder exposed. I did lots of online looking, and it seems to change shoulders. Typically it seems to be the right one but not often enough that anyone would notice! 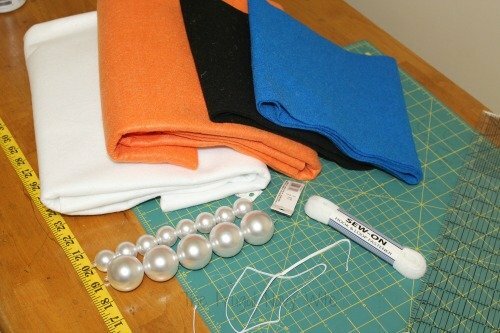 Cut a 1-1 ½ inch strip of your white felt to make a simple belt. This will tailor the waist if your dress is a bit tunic style. My daughter is a bit thick around the middle, so this helps give her a bit of a waist. Thread the beads on the cord (I used elastic) keep the length, so it sits up high on the neck. Wilma’s necklace is a very stylish choker. Now your Flintstones Costumes are done! 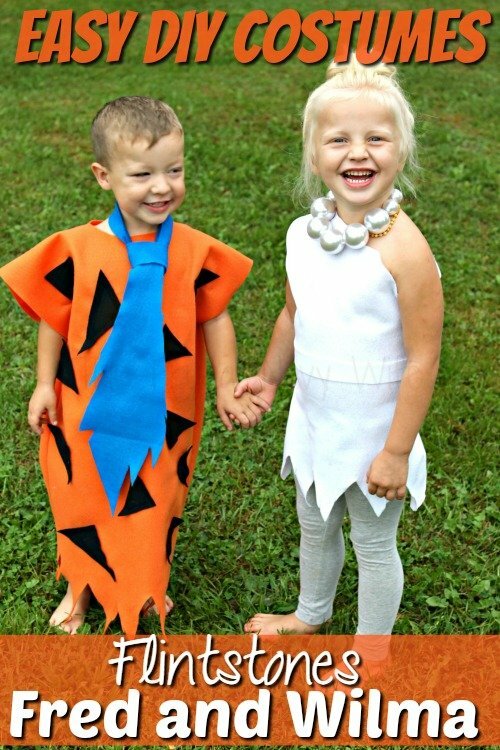 Now it's time to model your Fred and Wilma Costume! Looking for other great Easy DIY costumes?